If you enjoy your wine, making money from it might seem like a great idea. There is certainly demand for wine (for any alcohol really). Many people are also looking for good deals on their wine or want to learn more about what they’re drinking. Wine can also be shipped to many states, so selling it online certainly isn’t impossible. This post dives into the topic in depth, looking at the different ways that you can sell wine online and how they work in practice. The information should help you decide whether this is how you want to earn an income. But, before we get started, be aware that alcohol is a particularly difficult product to sell. There are many more regulations and procedures associated with selling alcohol. The challenges become more complex still if you’re planning to ship the alcohol to other states. The idea is still achievable, but it’s important to consider the challenges before you invest money into this field. A particularly interesting way to sell wine online is by creating an online wine store. This typically means that you’re building an eCommerce website, using a program like Shopify. Services like this are easy to use and you can end up with a website that looks amazing. But, there are some key areas that you need to consider. The goal of selling wine is typically to make money. So, you need to be able to sell the wine at a price where you’re turning a profit. You’re probably not making the wine yourself, which means you’ll want to purchase it at a reasonable price. One way to do this would be to buy at wholesale and then sell the wine at a markup. If you get the pricing right, you could easily make money from each sale. But, there’s considerable risk involved too. Bad planning might mean you end up with dozens of bottles of wine that you simply can’t sell. Working out the pricing and demand for wine isn’t going to be easy at the best of times. You’re likely to make mistakes along the way and some of those might be expensive errors. Some people may also be considering making the wine themselves. Even if you’re doing this, you’ll still need to pay close attention to your expenses. You need to be able to sell the wine at a reasonable price and still make a profit. Also, remember that sales may be difficult if you’re an unknown brand – and your customers don’t get the chance to try first if they’re shopping online. By far, the most important thing to consider is the laws and requirements that surround selling alcohol online and shipping it. There are a lot of these and they change from one state to the next. You don’t just need to consider the laws in your own state either. You also need to look at the laws in the states that you plan to ship to. Some states don’t allow wine to be shipped at all. Others may require you to get a permit or to stick to certain quantities of sales. The laws aren’t always obvious either, so you’ll need to talk to official agencies in each state that you plan to ship to (including your own). You also need to pay attention to shipping. Wine cannot be shipped through the USPS, so you’ll have to focus on a private shipping company instead. There are also requirements when people receive the wine. The most common one is that the package needs to be signed for by someone of legal age. But, there can be additional requirements too. You’ll want to talk about these on your site so that customers know what to expect. One good option is to start shipping to just a few states and expand over time. This makes the process of understanding and complying with laws much more manageable. Even if you start small, complying with local laws takes considerable research and effort. This begs the question, is the process worth it? Most other products are much less complicated to sell and can be shipped anywhere in the United States. If you do stick with this angle, there are various other steps as well. For example, you need to make sure your website stays up-to-date and correctly shows what you have available. You’ll also need to deal with all the processes associated with managing physical stock. This includes having somewhere to store the products. You also need to ship them out whenever a sale is made. From time-to-time, you might have to deal with angry customers or returns. Beyond all of this, you’ll want to work on making your website popular. That includes working on SEO practices and perhaps writing content. All of these goals are achievable. But, make sure you know what you’re getting into before you start. 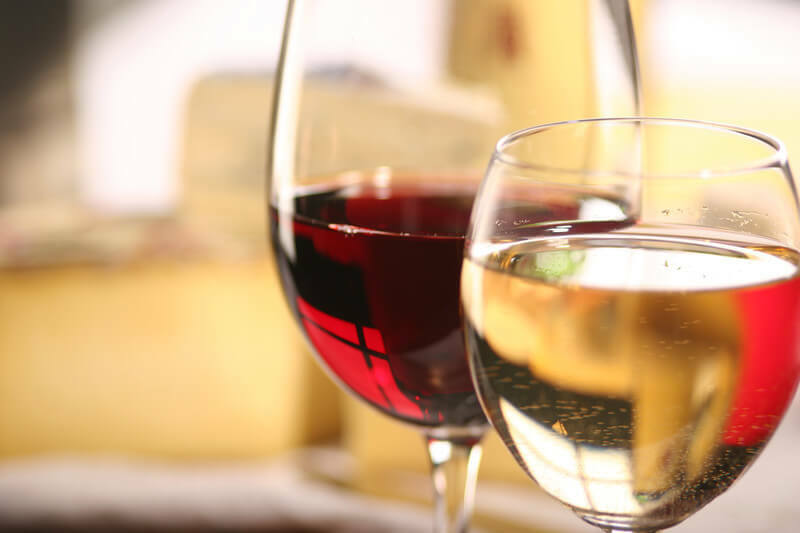 Realistically, wine is more difficult to sell online than most other products – and it will take much more work to create a successful business. A second key approach is affiliate marketing. With this method, your goal is simply to promote the wine that another company sells. You don’t need to have any physical products. There are various alcohol affiliate programs that you can choose from. Many of these focus on wine specifically. There are also multiple wine of the month clubs, which can be a fun area to promote. You don’t have to worry about licensing or bonding requirements. Shipping and returns aren’t your responsibility. So, you don’t need to pay any related fees, limit your sales or pay attention to the state your customers are in. There is no physical product management. This means no storage or shipping requirements. You can simply focus on your website. You don’t need to manage eCommerce functions or ensure that stock appears correctly on your website. You’re making sales indirectly. As a result, making 10 sales requires the same effort as making 100. This makes it much easier to scale your business and increase earnings over time. One of the best ways to be successful with affiliate marketing is to build your own website. This gives you a single hub that you can use to talk about to talk about the various products and to promote them. You also have the chance to develop a reputation of your own – along with a business that you can expand and develop. The cool thing about this idea is that you can really make it your own. For example, you might create a site that entirely focuses on high-end wine. Alternatively, you could develop a site that helps people who are just getting started on their wine journey. Your site doesn’t even need to be about wine. You could create something that focuses on food (and there are plenty of food-based affiliate programs too). Wine is a natural addition to a food site, as you can talk about which wines pair well with different meals and recipes. There are a handful of wine network marketing companies, which offer an alternative way to earn while selling wine. Some of these offer wine of the month programs, where customers get wine and tasting notes each month. Others allow you to earn based on wine sales. Network marketing isn’t really an online technique. Instead, it focuses on making sales in person, typically to people you know. Members of these companies often end up promoting to friends and family members, which isn’t very appealing. Even so, many such companies do have an online component. This often gives you a replicated website that you can promote sales through. Traveling Vineyard is one company that seems to take this approach. While you can make online sales with network marketing, the idea is never very powerful. You have little control over your website from the company and that site certainly wouldn’t rank in Google. To attract a larger audience, you’d probably need to develop your own site and then drive traffic to the network marketing company. Why bother? None of the companies in this field are particularly powerful and it’s hard to imagine that you could make many sales through them. Besides, you’d probably still need to focus on in-person sales and on recruitment. It’s just not worth the effort. Affiliate marketing offers you all the same advantages with much less complexity. Wine is a tricky product to sell online. There are so many different laws surrounding alcohol, especially if you want to send it by mail. This really makes affiliate marketing the only practical way to make wine sales online. At least with affiliate marketing, you don’t have to worry about any of the legal elements – the company that is selling the products has to figure the legal stuff out. Even if you are taking the affiliate marketing angle, it may be worth diversifying. After all, wine can only be shipped to some states. If wine is the only product type that you’re promoting, you’ll end up limiting your audience. It might be worth thinking about other related areas, such as food, cheese, gifts or even meal kits. Thankfully, there are many topics that work well with wine.